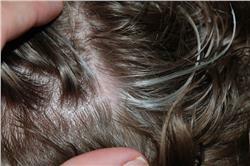 I have recently been noticing a couple of white hair on my head and I want to stop them before they spread. Is there any way I can reduce and prevent white hair on my head? Don't want to look too old just yet, lol. Heat is a factor of hairs that turn grey, as once you get heat into your hair it will make it dry/rough thus lessening the strength leaving it weak therefore turning white. Eat fish, carrots and bananas and try to use iodized salt. Lack of iodine in your body can lead to white hair and these foods can provide you with iodine. Morning walk is great for our overall health and benefits our hair as well. Walking barefoot on wet grass early in the morning prevents the occurrence of white hair. Include fresh vegetables and fruit juices in your diet to replace aerated drinks such as refined sugar or soft drinks. The juices such as that of carrot, lettuce and alfalfa can be very beneficial. Daily consumption of carrot juice makes your hair healthy and prevents whitening. Drinking a juice of wheat sprouts also helps in reducing white hair. Stress & Tension is not only behind all kind of other medical problems, it is one of the main cause behind your hair turning white. This is the King of Causes of gray hair. The graying might not be noticed suddenly or at the time of stress but mostly after some time you are relieved of stress. So, the advice is to not do things that cause you stress. Easier said than done but if you really want to stay away from the doctors and looking older than you are, try to reduce your stress level as much as possible. Don't let things build up, let it go. 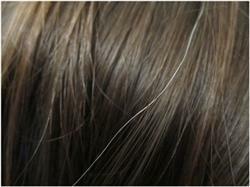 Unhealthy habits like smoking and drinking have also been linked to white hair. In fact, chain smokers have more white hair than others. If you wish to prevent them, quit your bad habits. Amla is a popular home remedy. Make paste of amla with water and apply to the hair. Take black tea (without milk and sugar) and massage it on the roots of the hair. Leave it for 1 hour and then wash it. Use coconut oil (with lemon) or almond oil to massage the scalp. Vegetable and essential oil also contain nutrients for slowing the greying of hair. Eat fish and other seafood (they contain iodine) which is required for melanin production. Vitamin deficiency is a major cause of white hair and if you want to prevent them you need to take foods rich in these. Hot water dries up your hair and removes the moisture in them. This weakens your hair, makes them rough and eventually white. Always wash your hair with lukewarm water to prevent hair whitening.